The Intolerant Gourmand - Is it really lactose causing the issue? Is it really lactose causing the issue? A staple in diets the world over, milk has long been a key part of daily lives. Used in recipes, poured over cereal, stirred into tea and coffee, it’s a fixture in millions of kitchens. But what about the many people who suspect they may have a lactose intolerance, some 60-70% of the world’s population? Or an intolerance to milk? In the largest human trial to date, a clinical study has taken place in China which has shed light on the gastrointestinal symptoms perceived to be caused by lactose, and now suggests A1 protein may be part of the cause following a study of 600 participants. Now, for anyone with a dairy allergy such as Callum, this is NOT for you! However, for those who have been avoiding milk due to unpleasant symptoms, it may not be lactose causing the issue, but actually it could be down to A1 protein found in milk! China is known to have the highest levels of lactose intolerance, and it is believed that up to 90% of the population is affected. Last year, new research revealed that people who believed they may be lactose intolerance, could actually have been misdiagnosed. 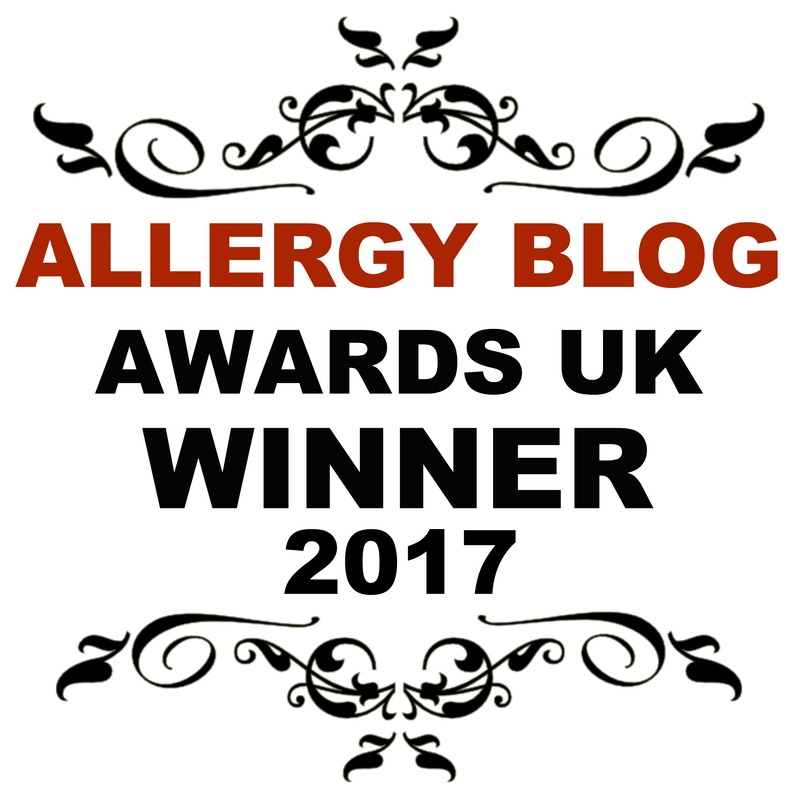 It has caused some heated debates within the allergy and intolerance world, and I have been waiting to see if more research would be carried out, as I like to have facts and figures to back up results. I have seen significant improvement in my own symptoms since consuming a2 Milk™ and as such am now an advocate of this milk. So, why am I opening this can of worms again? Well, today, details of a new study that has followed on from this research has been released and it makes for impressive reading! A clinical trial was conducted last year in China, and involved a randomised, double-blind, cross-over and peer-reviewed study. It recruited 1200 consumers with self-reported lactose intolerance, and digestive discomfort if conventional milk was consumed, with 600 participants selected to take part. Of these 600 participants, 71% were confirmed to have an inability to digest lactose without symptoms occurring. All of the participants didn’t drink milk regularly, nor had they consumed any milk for at least 4 weeks prior to the study taking place. The study investigated the acute impacts of gastrointestinal symptoms following consumption of 300ml milk, with the effects being measured at 1, 3 and 12 hours. In this randomised, crossover, double-blind trial, with a 3-day dairy washout period at baseline, subjects consumed 300 mL of milk containing A1 and A2 β-casein. Incredibly, with all 600 subjects, all 6 symptoms were significantly lower after consuming a2 Milk™ versus conventional milk. And even at 12 hours, significant differences were recorded for bloating, abdominal pain, stool frequency and stool consistency. Where before, a2 Milk™ were only able to quote feedback from consumers, now there is a significant study backing up the scientific data confirming that a2 Milk™ significantly reduces gastrointestinal symptoms compared to conventional milk! I’ll just repeat that for you! This ground-breaking research is proving that those suffering with believed lactose intolerance actually might not be. It’s a bold statement, and one which now has significant proof to back it up! For anyone who is suffering with symptoms they believe to be triggered by a lactose intolerance, and has removed cow’s milk from their diet as a result, it opens up the opportunity of bringing milk back into their diet. DISCLAIMER – If you have any doubt, please consult a Health Care Professional before attempting to try this milk! ‘It is interesting to see this data showing that dairy proteins can influence digestive symptoms, especially because we know 70% of the world’s population report as being lactose intolerant. Put simply, the study suggests consuming conventional milk may trigger lactose intolerance type symptoms in those people’. Have you heard of a2Milk™ before? Originally, cow’s milk contained only the A2 protein, and no A1, but due to human domestication of cows, over the years, the A1 protein is found far more prominently. It now means that regular cow’s milk is made up of a mixture of A1 and A2 protein. The difference with a2 Milk™ is that the cow’s DNA is checked and only cows naturally producing A2 are selected. So, to put it into simple terms, it’s a bit like someone who has brown eyes, and someone who has blue eyes. Want to drink milk but worried about symptoms? As I’ve explained previously, the new study released last year showed that A1 protein which is found in most cow’s milk can be difficult for many people to digest. This is because our guts find it challenging to break the protein down into individual amino acids. As a result, it stays as a protein fragment, and this is what causes problems for people which they associate with milk. For people who struggle to cope with this protein fragment, it causes the bloating, discomfort, cramping and trouble digesting as it slows down the speed at which the protein moves through our digestive system. On top of this, it can also show up as eczema in some people, as well as causing blocked noses and phlegmy coughs. This is because too much mucus is made by our bodies as a side effect. Lactose intolerance – what exactly is it? It’s a common digestive problem, which many people believe they are affected by, and caused by the body being unable to digest lactose, a sugar found in dairy products, such as milk. Often, symptoms will develop within hours of consuming food or drink that contains lactose, as listed above! Lactose intolerance – the causes? Simply put, our bodies digest lactose by creating lactase. This then breaks down the lactose into 2 sugars (glucose and galactose) which are then absorbed into our bloodstream. When people suffer with a lactose intolerance, it’s due to the fact they don’t produce enough lactase. As a result, it causes the lactose to stay in the digestive system. It is then fermented by bacteria, and it is this process which creates natural gases. This is what then causes the symptoms that people tend to associate with lactose intolerance. I will mention now, that it is so important to be aware that lactose intolerance is NOT the same as a milk allergy! An allergy is caused by the immune system reacting to foods, and can cause symptoms such as wheezing, itching, rashes and more. With an allergy, even the tiniest amount will cause a reaction. Whereas an intolerance will mean that small amounts are most likely able to be consumed without experiencing problems. It is also important to note that each person is different, and whilst one person may be ok, another may have symptoms triggered by consumption! With the symptoms mentioned above, and believed to be lactose intolerance induced, are in fact very similar to symptoms that can be triggered by A1 protein intolerance! It’s no secret that I’m an advocate of a2 Milk™ and it’s because I have experienced first-hand the difference it makes to me. I have suffered with IBS for many years, and had a formal diagnosis after extensive intrusive testing. I take medication to help relieve symptoms during flare ups, but try to control and manage it through diet. Since using a2 Milk™ and it is now the only milk I will use at home for myself, my symptoms have dramatically and significantly reduced. I've created many recipes using a2 Milk™ including lasagne, soup, cottage pie, overnight oats, chocolate brownies and more! If I consume a coffee whilst working away from home, and it contains conventional milk, I will bloat and have a swollen belly within a couple of hours, to the point where I look pregnant. I’ve said this many times before, and I will reiterate again now that a2 Milk™ is NOT suitable for Callum or anyone else suffering with an allergy! But for anyone who suffers symptoms like me, and for those of you who have self-diagnosed an intolerance to lactose, you may be able to consume it! For those of you who have tried it, what did you think? Has it helped you? How would you like to win vouchers for 1 months’ supply of a2 Milk™ and an iconic squeezy cow and try this multi award winning milk for yourself?! We are offering this for 5 winners! QUESTION: Why is a2 Milk™ different to conventional milk? The prize will be sent out to the winners’ week commencing 11th December 2017. Gentle on sensitive tummies, easy to digest and less likely to trigger symptoms often associated with milk intolerance. I too have switched to A2 milk and feel much better for it! A2 milk is gentle on sensitive tummies, easy to digest and less likely to trigger symptoms often associated with milk intolerance. I am lacto intolerant so buy this all the time. Ooops would help if I also answered the question. A2 milk is different because the cows are different. The milk contains a2 protein instead of a1 making it easier to digest! A2 Milk is different because A2 cows are different! to digest A2 protein. 100% free from the A1 protein that many people struggle to digest. Because it is pure a2 Milk™ with nothing added and nothing taken away. A2 milk is different...because... the cows are different! It is gentle on sensitive tummies, easy to digest and less likely to trigger symptoms often associated with milk intolerance. With A2 milk the cows DNA is checked and only cows naturally producing A2 are selected for milk. a2 Milk™ is healthy cows’ milk with a difference. Gentle on sensitive tummies, easy to digest and less likely to trigger symptoms often associated with milk intolerance. Because our milk is pure a2 Milk™ with nothing added and nothing taken away, it’s the simple choice for you and your precious family. a2 milk only contains A2 protein unlike conventional milk which contains both A1 & A2 protein making it less likely to cause digestive problems. It works for me & I love it's taste! Because it is pure a2 Milk™ with nothing added and nothing taken away, it’s the simple choice for you and your precious family. It's gentle on sensitive tummies, easy to digest and less likely to trigger symptoms often associated with milk intolerance. A2 Milk™ is made with nothing added and nothing taken away. Because the cows produce milk with a2 proteins. WOW, who knew there were different types of cows milk???? it’s A2 cows that they specially select to make Milk™. the A1 protein in A1 cows can cause digestive problems. so gthese arnt in A2. Learn something new everyday!! A2 cows produce milk with only the A2 protein which does not cause the digestive problems caused A1 protein milk. I have just switched to A2 milk and feel so much better already. A2 Milk™ is different because the cows are different as they produce milk with only the A2 protein. Different cows! I really need to try this milk. A2 cows are different. Ordinary on the outside. Extraordinary on the inside. Sounds lovely. Because the cows are different! Different cows, which is interesting!! a2 Milk™ is different because their cows are different. That’s why they say: ‘Ordinary on the outside, extraordinary on the inside’. 85% of Netmums would recommend a2 Milk™ to a friend. Whole milk can be given to children over the age of 1, semi-skimmed from the age of 2. I now have one very happy teenager who is able to drink milk again thanks to A2. So a2 Milk is different because our cows are different. That’s why we say: ‘Ordinary on the outside, extraordinary on the inside’. So a2 Milk™ is different because our cows are different. That’s why we say: ‘Ordinary on the outside, extraordinary on the inside’. a2 Milk is different because the cows are specially selected and therefore different. a2 Milk is different because the cows are different. It's so interesting isn't it? It is amazing that nature holds the answer itself to much discomfort, I'm so happy to hear it works for you. Answer a2 milk is different as it contains no A1 protein which may be the cause of discomfort in many who drink regular cows milk. A2 milk is different because it doesn't have the A1 protein, it only contains the A2 protein. Our youngest reacts really badly to regular milk so we usually use lactose free but I think this might be worth a try. a2 Milk™ is different because our cows are different - they only produce the a2 protein, not the a1 which causes digestive problems. Because a2 milk only with no a1 milk contamination. Because the cows they use are different. They only use the cows which produce the A2 protein. its Gentle on sensitive tummies, easy to digest and less likely to trigger symptoms often associated with milk intolerance. A2 Milk only has the A2 protein. A2 milk is Gentle on sensitive tummies and is easier to digest. fab stuff! deffo going to give this a try next time i go shopping! A2 Milk is from A2 Cows so it's different cows. Well I never. It is gentle on sensitive tummies, easy to digest and less likely to trigger symptoms often associated with milk intolerance. I have tried one bottle/carton of this and am very impressed. I would love to win this! The cows are different, this would be fab! nothing added and nothing taken away, it’s the simple choice for you and your precious family. great giveaway - a2 is easy to digest and less likely to trigger symptoms often associated with milk intolerance. So a2 Milk™ is different because our cows are different. The cows used produce only A2 protein rather than both A1 and A2 making it easier to digest. I have switched to A2 milk and love it, just wish more shops sold it! Because A2 Milk's cows are different. They use cows that produce milk with A2 protein in them, so as to avoid digestive problems. It is produced with only the A2 protein.